Many people consider nuts to be an unhealthy or fattening snack food. For decades they have been cast aside as diet-busters, certain to increase your waist circumference. But with the recent change in public opinion in relation to fat being a positive part of a nutritious diet, nuts are coming back in vogue. And with good reason. Nuts are an excellent food to include in a healthy diet. They can even form part of a good weight-loss regime if eaten in the right amount. 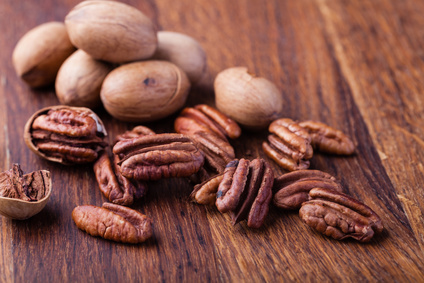 Nuts contain a good combination of protein, fat, fiber, vitamins, minerals, and antioxidants. The combination of protein, fat, and fiber will help keep you feeling full for longer, which can prevent overeating. In addition, studies have shown that about 10-15 % of the calories contained in whole nuts are not even absorbed by the human body. 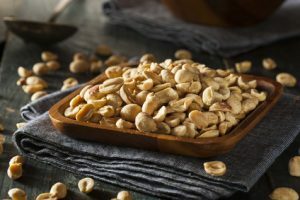 Nuts have also been shown to have cholesterol-lowering effects, and eating nuts several times a week can significantly reduce your risk of having a heart attack. 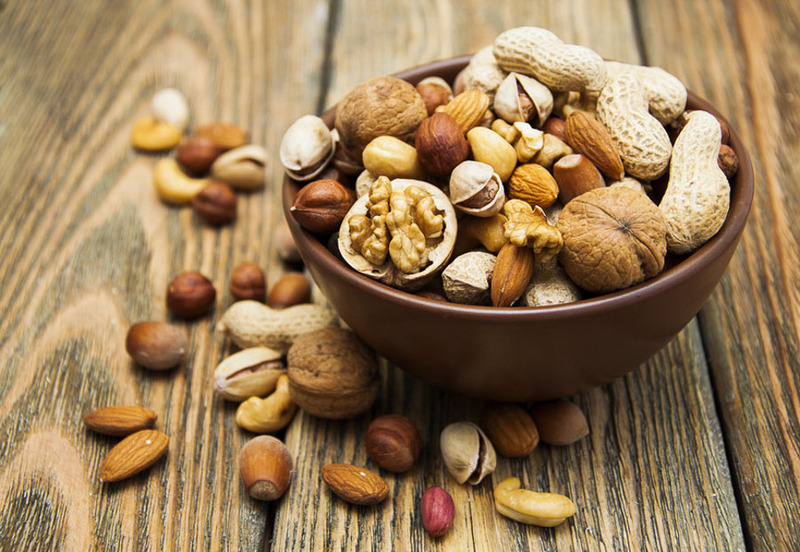 The heart-health benefits arise partly as a result of the types of fats found in nuts. They are primarily the heart-healthy mono- and polyunsaturated fats. 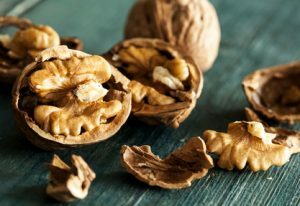 In addition, some nuts (like walnuts) contain omega-3 fatty acids. 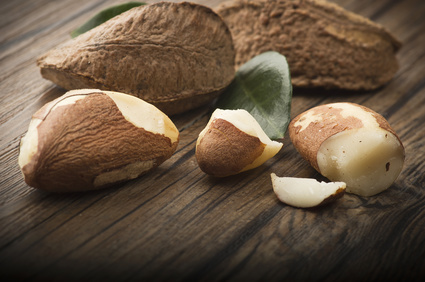 Nuts are also rich in an amino acid called arginine. Arginine is needed to make nitric oxide in the body. This helps relax constricted blood vessels and allows blood to flow more easily. 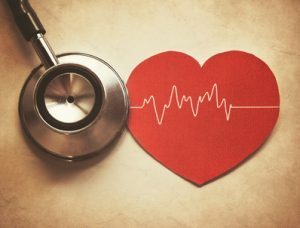 The result is improved cardiovascular health. These heart-related benefits are so well-established that the United States Food and Drug Administration (FDA) has approved a qualified health claim for manufacturers to print on packets of nuts. 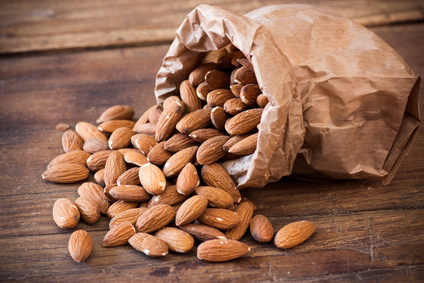 The health claim states, “Eating a diet that includes one ounce of nuts daily can reduce your risk of heart disease.” That claim relates to almonds, hazelnuts, peanuts, pecans, some pine nuts, pistachio nuts, and walnuts, because they do not contain as much saturated fat per serving as some other types of nuts. 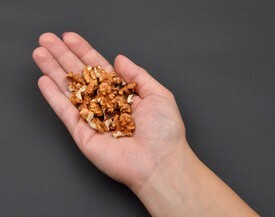 This focus on serving size is crucial because nuts are extremely calorie dense. But what exactly does that mean? ‘Calorie dense’ (sometimes referred to as ‘energy dense’) means that a food contains a lot of calories per serving. One ounce of nuts can contain anywhere from 160 to 200 calories. The opposite of ‘calorie dense’ is ‘nutrient dense’, which means that a food contains high levels of nutrients per serving, with few calories. Most fresh vegetables are examples of ‘nutrient dense’ foods. Good source of vitamins B1, B3 and E, copper, folate, manganese, magnesium, and phosphorus. High in antioxidants. However, most of them are contained in the skin of raw peanuts. So what about nut butters? Are they as healthy as eating whole nuts? The answer depends on the type of nut butter you choose. Those made from nuts and absolutely nothing else. Those made from nuts plus a little salt and/or sugar. 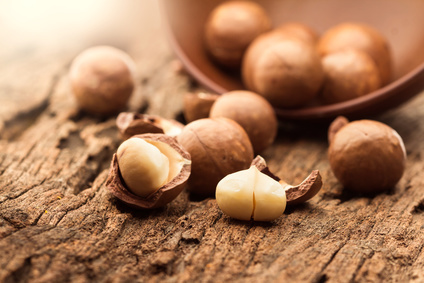 Those made from nuts plus many other ingredients including sugar, molasses, vegetable oils, hydrogenated vegetable oils, partially hydrogenated vegetable oils (trans fats), and stabilizers. Ideally you should eat nut butters that fall into category 1). If you do choose nut butters from category 2), make sure they do not contain too much salt or sugar. Compare the label to a brand that contains only nuts. Try to avoid nut butters from category 3) if possible. They contain additional oils that add calories and, sometimes, trans fats to the product, as well as other unnecessary ingredients. The bottom line is this. When choosing a nut butter, try to pick one that contains only nuts. However, if you really cannot get on board with the taste, go for one that has a small amount of added sugar or salt, but nothing else. And remember, a serving of nut butter is 2 tablespoons. Sunflower seed butter is not technically a nut butter. However, it does make a great alternative for people who are allergic to nuts, or for children whose schools are nut-free. 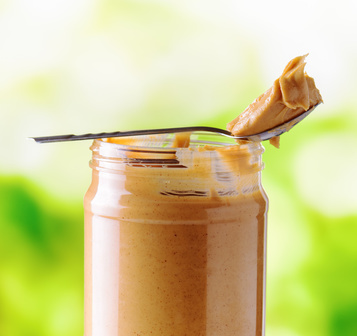 Is Crunchy Peanut Nut Butter More Nutritious Than Smooth? I was recently asked this question, and my instinct was to say that there is no difference. After all, they are both simply ground up peanuts. But because I wanted to be sure, I went home and did some research. The results were surprising… at least to me. 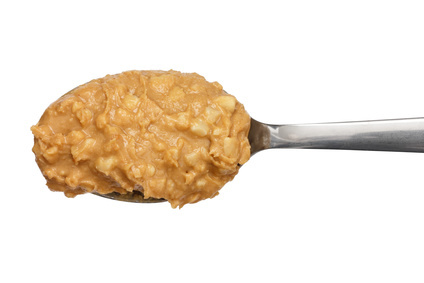 In terms of nutrition, chunky peanut butter is superior to smooth peanut butter. While both styles have the same number of calories, crunchy peanut butter has 0.6g more protein (7.7g vs 7.1g), 0.5g less fat (16g vs 16.5g), 1g more fiber (2.6g vs 1.6g), 0.6g less sugar (2.7g vs 3.3g), and almost a gram less saturated fat (2.4g vs 3.3g) in every 2 tablespoons. Those are significant enough numbers to make it worthwhile switching to crunchy peanut butter if you don’t already choose that style. Eat nuts instead of other food in your diet, not in addition. Replace less healthy snacks (like chips or cookies) with a serving of nuts. 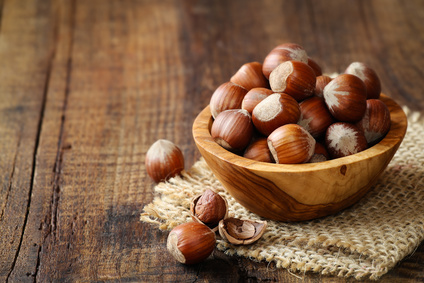 Limit yourself to one serving a day – 1 oz of nuts or 2 tbsp nut butter. Add nuts to salad, stir fry, breakfast cereal, oatmeal, granola, or smoothies. Eat peanut butter and banana on whole wheat toast or almond butter on apple slices for a filling snack. Combine 1 serving of mixed nuts with 1/8 cup dried cranberries and a few chocolate chips for a homemade trail mix. Nuts are an excellent choice of food to include in a healthy diet. 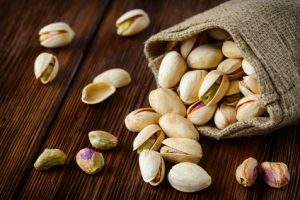 They contain a good combination of protein, heart-healthy fats, and fiber, as well as many vitamins, minerals, and antioxidants. 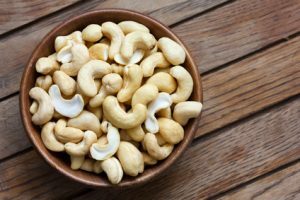 Regular consumption of nuts has been linked to lower cholesterol levels and a general increase in cardiovascular health. However, because they are very calorific, they should be eaten in moderation. A 1-ounce serving per day is sufficient to reap the health benefits without the risk of consuming excessive fat or gaining weight. Great info – I love nuts! Even married one!! Thanks for the detailed info! Love nuts!